Gayatri Poly Chem Private Limited. Established in 2001, we "Gayatri Polychem Private Limited" are engaged in developing and supplying a wide range of silicon fluid-supported formulations. 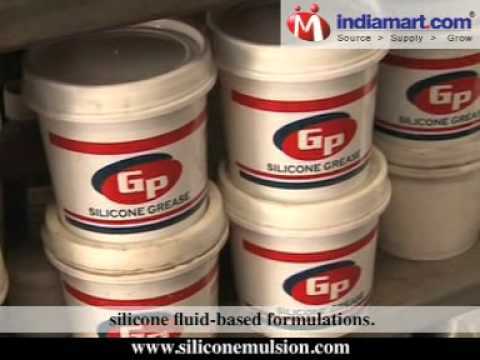 Our product range includes amino silicone fluids, silicone antifoams, silicone emulsions, non silicone defoamers, silicone gel, silicone grease, thread lubricants, silicone softener, water treatment chemical and silicone fluids. All out products are produced by using fine quality raw materials to ensure durability and efficiency. Our Products are widely applicable in leather, textile, silk, rubber, and paint and printing industries. We have a highly-refined infrastructure that comprises of advanced technology and hi-tech manufacturing machines. Spread across 4,000 square feet of area, our manufacturing unit has the capability to produce up to 10 ton chemical in a single day. Our strict quality control policies are one of the motivating pillars of our growing success that inspires us to offer high quality silicone fluid-based formulations. We test our products on several quality parameters like: Purity, Composition, Effectiveness and Stability. With the continuous development and improvement of quality applications, our products, especially silicone emulsions give us a cutting edge over the others. In addition, to ensure superior reliability, we dispatch these products only after they pass the defined quality parameters. Since our inception, we have been meeting the ever demanding needs of several industries successfully all across the globe. Our major markets are Indian subcontinent, Middle East Asia, Europe and Africa.